National Defence and the Canadian Forces own, operate, and are responsible for maintaining and repairing military aircraft, ships, and land vehicles costing more than $30 billion. In 2009–10, National Defence spent more than $2 billion to maintain and repair its military equipment. This included expenses for routine inspections, preventive maintenance, corrective repairs, spare parts supply, periodic repair and overhaul, engineering changes, and other related tasks. Thousands of personnel are engaged in maintenance and repair activities, which include everything from turning wrenches on bases or while deployed on missions to engineering, logistics and spare parts management, training, contracting, and administrative support. To undertake training and to meet assigned missions safely and successfully, military equipment must be kept in good working condition and be ready for action on short notice. How National Defence allocates the funds available—and the reliability of the information it uses to support short- and long-term decisions—is critical to the ability and readiness of the Canadian Forces to meet their assigned missions. Military spending on maintenance and repair also makes a significant contribution to the Canadian economy every year. Many Canadian companies depend on it for a portion of their business. According to the 2008 Canada First Defence Strategy, the government plans to spend $60 billion on new military equipment over 20 years and $140 billion for spare parts, maintenance, and training. Over the last decade, National Defence has made sweeping changes in its approach to contracting for maintenance and repair of both existing and new equipment. The changes transfer much of the responsibility to the private sector, with significant implications for National Defence and Canada’s defence industry. The new contracting approach for existing equipment was intended to reduce the Department’s contract management activities and costs by bundling hundreds of short-term maintenance contracts into a few longer-term contracts. The approach for new equipment goes even further, awarding both the acquisition and the long-term maintenance and repair contracts to the original equipment manufacturer or supplier. The Department has identified significant risks in this approach, including limited flexibility if requirements change over the life of the equipment, dwindling maintenance and repair skills and expertise in the Canadian Forces, and total dependence on one supplier for each fleet. Overall, National Defence has planned and managed the maintenance and repair of military equipment to meet operational priorities in the short term. The annual process of allocating available funds provides an effective forum to discuss priorities, with wide participation of those responsible for maintaining and repairing military equipment and those who need it for operations and training. National Defence’s ability to meet training and operational requirements over the long term is at risk due to weaknesses in implementation and oversight of its contracting approaches for maintenance and repair, deficient management information systems, and the lack of sufficient cost and performance information. The Department has not taken the actions or provided the central resources and oversight required to support the implementation of its new contracting approaches successfully. The lack of concerted action and follow-through on the new contracting approach for existing military equipment has resulted in slower and more limited implementation than planned. As a consequence, National Defence has lost opportunities to derive the potential benefits of improved performance, improved accountability, and reduced costs. In addition, National Defence is not adequately monitoring and mitigating the significant risks created by its approach for new equipment. There are long-standing deficiencies in information management systems used to support decision-making for maintenance and repair activities, first raised by us in a 2001 audit. As a result, National Defence lacks complete, reliable, and integrated information on the total actual costs of maintenance and repair, because some of the costs—salaries and infrastructure, for example—are not captured in its asset management information systems. The absence of this information impedes its ability to make informed decisions about the life-cycle management of its fleets or to determine whether it is putting enough funds each year into maintenance and repair. In 2001, National Defence expected to fully implement an integrated asset management system by 2004. The Department now expects a new system to be introduced on all Canadian Forces bases by mid-2012. Fully implementing this new system will likely take many years. There is a significant gap between the demand for maintenance and repair services and the funds made available. In addition, National Defence has indicated it is likely that its long-term investment plan for new equipment has allocated insufficient funds for equipment life-cycle costs. Although National Defence knows that postponing maintenance and repair tasks creates future risks—such as reduced availability of equipment, more laborious and expensive repairs, and reduced life expectancy of military equipment—the Department does not regularly monitor these impacts. Consequently, it does not know the specific long-term impacts of the funding gap on operations and training activities. The Canada First Defence Strategy, released by the government in 2008, defines six core missions that the Canadian Forces must be prepared to undertake in Canada or abroad. Based on these missions, National Defence determines the capabilities that it needs to develop and sustain. To a large extent, sustaining these capabilities depends on military equipment being kept in good working condition and at a certain level of readiness. 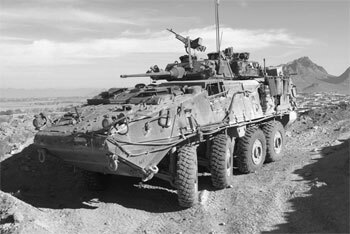 Effectively planning, supporting, and executing maintenance and repair activities for military equipment is therefore crucial to the Canadian Forces’ ability to meet their core missions. National Defence and the Canadian Forces own, operate, and are responsible for maintaining and repairing military equipment costing more than $30 billion that is used for domestic and international operations and training. This military equipment includes 4 submarines, more than 30 large ships, over 350 aircraft, and about 9,000 military land vehicles. Maintaining and repairing all this equipment involves thousands of civilian and military personnel and many private sector firms in a diverse and often complex set of activities. Military spending on maintenance and repair makes a significant contribution to the Canadian economy every year, and many Canadian companies depend on it for a portion of their business. If current trends continue, this contribution could increase in the future as more and more responsibility for providing maintenance and repair services is transferred to private sector firms in Canada and abroad. As announced in the 2008 Canada First Defence Strategy, the government plans to spend $60 billion on new military equipment and $140 billion on spare parts, maintenance, and training over 20 years. At National Defence, maintenance is a preventive, scheduled activity that is intended to reduce the probability of equipment failure and extend the life of the asset. Repair is an activity that restores an item to serviceable condition by correcting faults or replacing unserviceable pieces with new, overhauled, rebuilt, or reconditioned components. Repairs are unpredictable and are thus more difficult to plan for and forecast than maintenance activities. In the 2009–10 fiscal year, National Defence estimated that it spent just over $2 billion to maintain and repair its military equipment. This included expenses for routine inspections, preventive maintenance, corrective repairs, spare parts supply, periodic repair and overhaul, retrofits, engineering changes, preparation for special operations, and other related tasks. This amount did not include the salaries of personnel or the costs of infrastructure used to maintain and repair military equipment. The full spending on maintenance and repair activities is thus greater than $2 billion. Simple and short-term preventive maintenance and minor repair activities (first- and second-line) are carried out relatively frequently by civilians and military personnel on bases across the country or in the field. These tasks are typically completed within 24 hours. Lengthier and more complex inspection, major repair, or complete equipment overhaul activities (third- and fourth-line) are centrally managed by the Assistant Deputy Minister (ADM) for Materiel, and are executed by the Department or by the private sector in specialized facilities. These tasks can take days, weeks, or months to complete. These maintenance and repair activities are supported by equipment program management divisions that report to the ADM for Materiel. These divisions are responsible for the life-cycle management of aircraft, ships, and land vehicles; they identify maintenance and repair needs for each fleet, provide engineering and technical support, manage upgrade programs, and ensure that sufficient stocks of spare parts are purchased and made available to maintenance and repair technicians on a timely basis. Considerable variations exist in the specific ways that the Army, Air Force, and Navy carry out maintenance and repair for their equipment. In the past, National Defence’s budget restrictions, shortages of qualified maintenance personnel, problems with spare parts supply, and aging equipment were having detrimental impacts on the Canadian Forces’ ability to meet equipment readiness standards. Some training exercises and deployments had been affected by the unavailability of military equipment. National Defence has faced a number of circumstances that have changed the context in which maintenance and repair activities take place. Increased pace of operations. Canadian Forces have been deployed in Afghanistan since 2002, resulting in an increased pace of operations in the Army and the Air Force. This effort has accelerated the usage rates for various land vehicles and aircraft, increasing the need for maintenance and repair. In addition, deployment of qualified maintenance technicians to areas of operation abroad has meant that Army and Air Force units in Canada have had fewer technicians available to carry out maintenance and repair work. Human resources challenges. For many years, the Department has faced shortages of skilled employees in some maintenance and repair trades. In addition, cuts made in the 1990s to National Defence human resources have resulted in fewer employees who are responsible for planning, managing, and contracting maintenance and repair activities. The looming retirement of baby boomers and ongoing competition with the private sector for qualified personnel are further challenges in this area. Increasing cost. As they age, the cost of maintaining, upgrading, and repairing existing military fleets increases. In addition, modern replacements for old fleets usually carry more technologically advanced systems that cost more to maintain than the ones they are replacing. Total maintenance and repair costs over the complete life cycle of military equipment are often two or three times greater than the equipment acquisition cost. In response to these and other challenges, over the past decade National Defence has explored new ways of meeting its maintenance and repair needs. In 2002, National Defence introduced the Optimized Weapon System Management (OWSM) program for existing military equipment and, in 2008, the In-Service Support Contracting Framework (ISSCF) for new equipment acquisitions. Consistent with practices in other countries, National Defence is increasing its use of long-term, performance-based contracts with original equipment suppliers and/or specialized private sector firms. These new contracting approaches have meant sweeping changes for National Defence and its personnel, for federal departments (such as Public Works and Government Services Canada), and for the Canadian defence industry. The Army owns more than 1,000 wheeled light armoured vehicles of different models, including the Bison, the Coyote, the Light Armoured Vehicle III, and the armoured patrol vehicle. All of them entered service between 1990 and 2006. Prior to 2004, the Army’s maintenance and repair approach for these fleets was based on the traditional model: private firms were retained for third- and fourth-line services through time and materials contracts. This approach proved to be inefficient, creating a significant backlog of engineering issues. In 2004, the Army applied principles similar to those of the Air Force’s Optimized Weapon System Management program and awarded General Dynamics Land Systems–Canada (GDLS), a specialized Canadian defence company, a three-year sole-source, performance-based contract with two one-year options, for an initial maximum value of $392 million. Third- and fourth-line work was then centralized in two separate locations, with the Army’s Montreal workshop depot kept as a strategic backup in the event that demand temporarily exceeded GDLS’s capacity. In addition to carrying out maintenance and repair work, GDLS was responsible for managing suppliers and subcontractors, as well as for providing training to National Defence personnel. The contract was renewed in 2008 for another five years, with 21 one-year options to be granted one year at a time if the company meets specified performance targets. The total maximum value of this second contract, over 26 years, is about $3.1 billion. According to National Defence, the contract has resulted in significant performance improvements. For example, the percentage of on-time delivery for spare parts has increased from an average of 75 percent in 2006 to 94 percent in 2009, and the percentage of on-time repair and overhaul projects has increased from an average of 13 percent in 2006 to 97 percent in 2009. The observed reduction of delays has led to increased availability of wheeled light armoured vehicles. Billions Have No Place To Go.